Learn about the digestive and endocrine systems and their pathology. This course includes a thorough review of the anatomy and physiology of the digestive and endocrine systems; a description of the essential nutrients for human health, including their source, benefits and deficiencies on the human body, and massage indications and contraindications for specific digestive and endocrine disorders. Excellent review of digestive and endocrine pathologies! This information is important for every therapist to know. Would definitely recommend this course for anyone looking for a good refresher on these topics. This course was informative. The most helpful parts to me were those that described symptoms clients may present.... especially pain referral! Diabetes is such a prevalent disease. It would be helpful to learn more specific contraindications with its symptoms. Most diabetic clients have already seen a primary care practitioner and are looking for pain relief with massage. I was hoping for more specific indications and contraindications for the wide variety of endocrine and digestive disorder symptoms. Thank you for a fun and thorough review of the systems. I learned something new! Wow! This exceeded my expectations! I had a great refresher and found that after I had done what I thought was a mock test after reading the printed book that it was the actual test!! I was so happy to find that out and as weird as this sounds, cannot WAIT to study and complete my next test! This was a great adjunct. I have a lot of clients who are diabetic as well as have some of the other disorders studied in this program. It gave me more of a affirmation that I am on the right track in caring for my clients. This class will help give me more credibility within my medical community. This was a great course for those with little knowledge of pathology of the endocrine system. I think Pathology is very important in the field of massage because people have different health problems and we as massage therapist need to be educated on the health problems. Thank you are a great and informative course. Very clear and readable presentation, designed to be effectively memorized, and thereby applicable in my practice. One of the best of your many courses Iâ€™ve taken. This was a great course, I learned a lot! It will be very helpful in my practice. Great information & presentation! Easily understood & useful. Packed with pertinent information that is readily usable. Lots of great informative detail and content. Plan to put it to use immediately with clients, friends and family members. Thanks, once again, IIHS for a great course! This course was interesting and informative. I had no problem finding what I was looking for. Thank you. An excellent review of both systems. Nice content, easy to follow, very informative. This was a very interesting and great update and reminder of information every therapist should know and use. This program was easy to understand and very informative. This course is too easy to test on, but has a great deal of useful information, if one really is interested and studies it. Very thorough information on the pathologies in the two systems!! Very well put together! Will use in my practice! A clear easy to understand presentation of the course material. 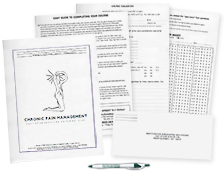 Contains important information needed by massage therapists. Well written course which I can refer to as needed. Will order more courses with you. Very informative information. Great information, very easy to read! Clearly presented material, without excessive details. I found this really interesting. Thanks. I learned a lot of very important information. It was useful information and I will definitely use this website in the future. Great review of the endocrine system! Very clear and informative. Great course!! Thank you for the info!! Information in this course will be beneficial to myself, family and clients. Very convenient and easy to sign-up, complete. I enjoyed learning at my own pace and gathered a lot of valuable information. I now have more information on guiding my clients to healthier lives. Really interesting course - a great refresher on a lot of key issues we're presented with as therapists. Thank you! I thought the course was very informative and was a nice review on material I haven't studied for a while. This was an excellent overview of digestive and endocrine system diseases and contraindications. The questions were relevant to my occupation, useful and supportive of some theories I had with some new insights. I wanted more, the material is written very well, easy to understand and comprehend. Very pleased with what I learned and want more! Thank you. Great course! I haven't refreshed about the endocrine system in a while and it was much needed! It defiinitely made me look up other information about my practice/clients. Thanks! I enjoyed the course. 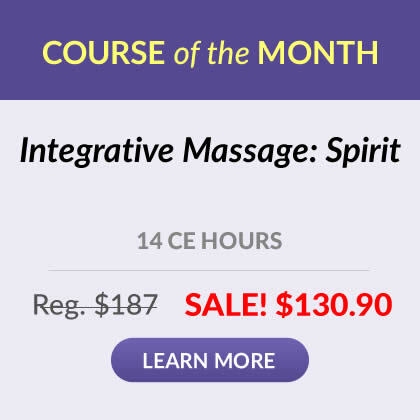 It will enhance my skills as a professional massage therapist. The course was very informative and easy to understand. the whole process of taking the test after studying the course was simple and I will most certainly take another course in the future. I really enjoyed the course. it was very direct and straight to the point. That's how I like my courses. 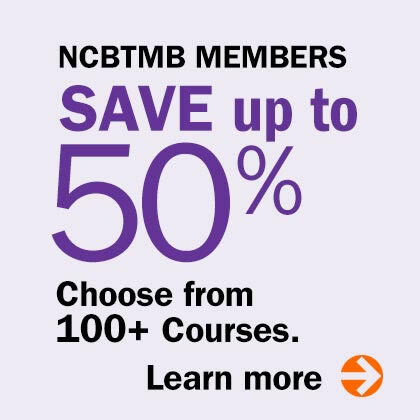 Great course and content layout. Thank you! Arranged nicely, concise, and to the point. Thank you! Excellent, thank you very much. A lot of the course info comes up often with clients.